U.S. stocks displayed a broad-based rally on Wednesday. This move was largely led by the energy stocks as a result of rising oil prices, but the second-best-performing group of the day were financials. 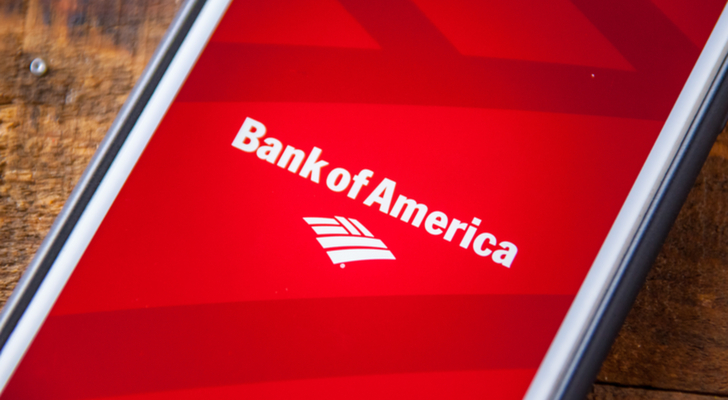 Stocks such as Bank of America Corp (NYSE:BAC) now are getting back on their feet after a choppy first quarter. Specifically for BAC stock a next upside target is well defined, just as a stop loss level. Every time I discuss a banking stock or other financial company, I stress the importance of the financial sector as a group for the broader stock market. The financial stocks currently make up close to 15% of the S&P 500, which is the second-largest weighting behind technology, which makes up close to 28% of the index. Thus simply from a pure index-weighting perspective, financials cannot be ignored. Add in this sector’s importance to the economy and close ties to movements in interest rates and you have a crucial part of the stock market that often gives leading signals and thus juicy trading opportunities. On the multiyear weekly chart of BAC stock, we see that the uptrend from the second half of 2016 remains intact (blue line) despite the fact that the stock has done nothing worth writing home about since December 2017. But this is exactly where the importance of a multi time frame analysis approach shines … this perspective is crucial beyond anything else. From a weekly candlestick perspective, note that last week’s candlestick closed well off the intraweek lows and held horizontal support from earlier in the year. Although this trading week is not yet over, note that we are so far seeing what I refer to as follow-through buying and a nice green candle. Should this rally hold up to close this week then from this bigger picture angle upside back of the March highs for BAC stock looks to be in the cards. On the daily chart we see that the rally so far this week has already come on a few up-gaps and three up-days in a row. From an immediate term perspective BAC stock could indeed now have reached overbought conditions. However, taking into consideration the bigger picture analysis of the above chart, the stock may just be getting started for a better rally. Note that around the $30-$31 area BAC stock has confluence resistance made up of its 50-day and 100-day moving averages as well as horizontal resistance from April. Once this area can be overcome then I see next upside toward $33. Ultimately, if and when $33 can be overcome then the mid to high $30’s are next. Article printed from InvestorPlace Media, https://investorplace.com/2018/05/trade-day-bank-of-america-corp-bac-stock-back-on-its-feet/.